Numeracy – All S1-S3 now have now been issued with our newly developed Numeracy booklet. The booklet is intended to be kept alongside their School Planner and used in all classes to assist with basic number work. The booklet is an aid reminding pupils how to do certain basic numeracy tasks. The Numeracy booklet is available on the school website here. S1 Bring and Buy Sale – We are very grateful for the support of parents, staff, Parent Council, local businesses and everyone who helped on Saturday 12th March, and those who provided items for the sale and prizes for the raffle. You can read all about the event and all our sponsors here. Geography Field Trip – On the 29th February, the Higher Geography class went off to Inverness to spend three days with Liam and Josie from the Aigas Field Centre in Beauly. You can read more and see photos here on the website. Gairloch Climbing Competition – On Saturday March 5th Gairloch Leisure Centre hosted an inter-school climbing and bouldering competition for young people aged from 8-18 years old. Participants came from Gairloch High School; Ullapool High School, Moray Schools and Charleston Academy, Inverness plus staff from Plockton High School. You can read more and see lots of photos by clicking here. School Meal Prices – Please note that costs will be increased by 10% from Monday 11th April 2016. A set meal will cost £2.55. Prices of individual items are available on the Council website. UK Intermediate Maths Challenge – In February many of the S3 and S4 pupils took part in a national maths test, which involved answering 25 multiple-choice questions. Jack Wright, S4, got the highest score for Gairloch High School and he will receive a silver certificate. Other winners of silver certificates were Iain Nelson, Gregor Vickerstaff and Hannah Wood (all S4). Morven MacLean was the highest placed S3 pupil and she will receive a bronze certificate. Connor Forbes, S4, will also receive a bronze certificate. Well done to all who took part in the challenge and thanks to Mrs Whall for organising their participation in this national competition. It’s that time again – the GRAND annual fundraiser for S1 Cairngorm Week is approaching. Thanks to Mr Gorman for supervising, Mr Bowker for driving the bus and to Sydney Tippett for refereeing some of the games. 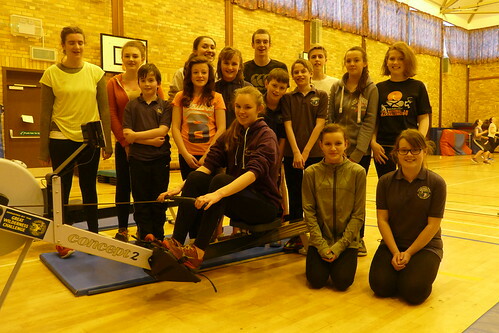 We entered the Scottish Schools Indoor Rowing League again this term. In Round 1, 28 GHS pupils participated. 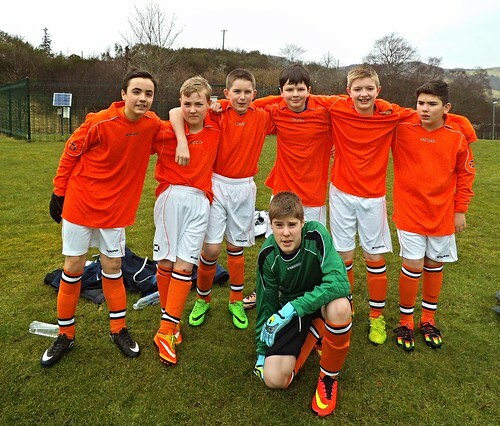 Despite this being well down on last term’s numbers, other schools also had reduced participation and we were top of the league, 14 points ahead of Culloden Academy in 2nd place. In Round 2, 39 GHS pupils entered the competition. Again we had the highest number of participants of the 6 schools in the league and with 19 Gairloch pupils in the top 5 for their year group, this gave us a round 2 total of 106 points, increasing our lead over Culloden. Everyone who takes part earns a point for the school and the following pupils have scored extra points for their top 5 placings this term: S1- Eòin, Matthew, Lucy, Abigail, Jahia, Charlotte, Mia. S2 – Melissa. S3 – Amber, Scarlet, Morven, Arlene, Emily, Matthew and Sean D. S4 – Sara, Carys, Iain, Sean Q. S5 – Eilidh. S6 – Sydney. Congratulations to them all. The final round takes place during the first week in March. Turas FilmG a Ghlaschu / FilmG Trip to Glasgow – On the 19th of February, Iain Nelson, Sorley Street and Max Conway travelled to Glasgow to be present at the FilmG Awards Ceremony 2016. Our short film ‘The Chance’ was shortlisted for two categories out of the 54 schools who took part in the competition. You can read about the trip, in Gaelic or English, by clicking here. 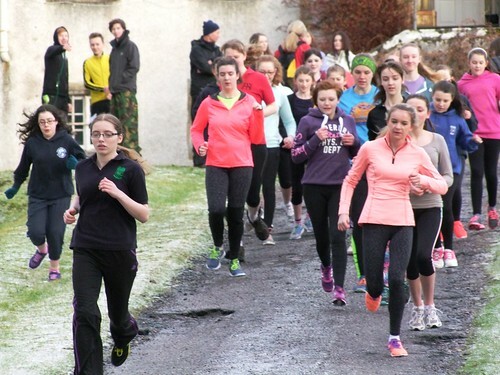 Cross Country Event – The Gairloch High School Cross Country Event on Tuesday 23rd of February was organised and run by the S5/6 Activity Tourism class. As part of the course we have organise and assist with an event. The jobs that we were involved with course planning, risk assessment, setting up the course, marshalling, photography, collecting the times when people came over the finish line, collecting in the arrows and the red and white tape after the event and evaluation. Beach Clean 2016 – The S1 SMART class will hold their annual beach clean on Tuesday 15th March from 9-11am. If you are free, and would like to help, please join us, as there is a lot of rubbish between the Myrtle Bank and Strath. Gloves and bags will be provided. Please come along and show an example to our young citizens!